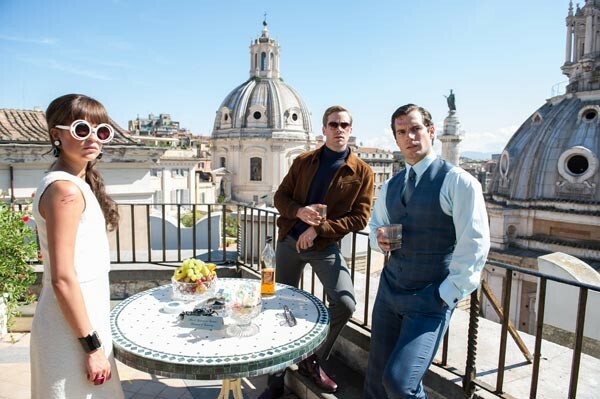 The 1960s spy franchise gets a reboot from Guy Ritchie. In it, a Soviet agent (Armie Hammer), a CIA agent (Henry Cavill) and an East German mechanic (Alicia Vikander) team up to prevent a mysterious group from getting a nuclear device. It’s an amusing, well-produced piffle, a chance to parade beautiful people in kicky clothes through European locales while sprinkling a standard spy-quest story with one-liners, double entendres and a spot of cinematic flair. (The often manic Ritchie keeps his cool here, deploying only split screens and the odd on-screen gimmick.) It’s an origin story about U.N.C.L.E., and the oddly mismatched international cast — an American plays a Russian, a Brit plays an American and a Swede plays a German — seems to be feeling their way into the roles. (The film’s ending screams, “Franchise me!” so perhaps they’ll have another chance.) But truly, the stand-out is the slinky, purring, swan-like villainess, played by Elizabeth Debicki: She’s an agent of doom by way of La Dolce Vita.